New technologies, such as smart phone apps and social media, can be amazing tools to involve your community in environmental management or scientific research. But with so much on offer, how do you choose which app to use? To help you navigate this dilemma we have spoken to managers of some of Australia's largest citizen science programs, as well as environmental managers who have successfully implemented programs at the local level, to help make your app-based citizen science program a success. 1. Given the vast diversity of citizen science programs we decided to focus this article on apps, however we also recognise the amazing contribution of on-ground programs such as Waterwatch, who have successfully been involving local communities in environmental management for decades. 2. This list is by no means exhaustive. Please feel free to contact us with information about other apps and programs which we can share. 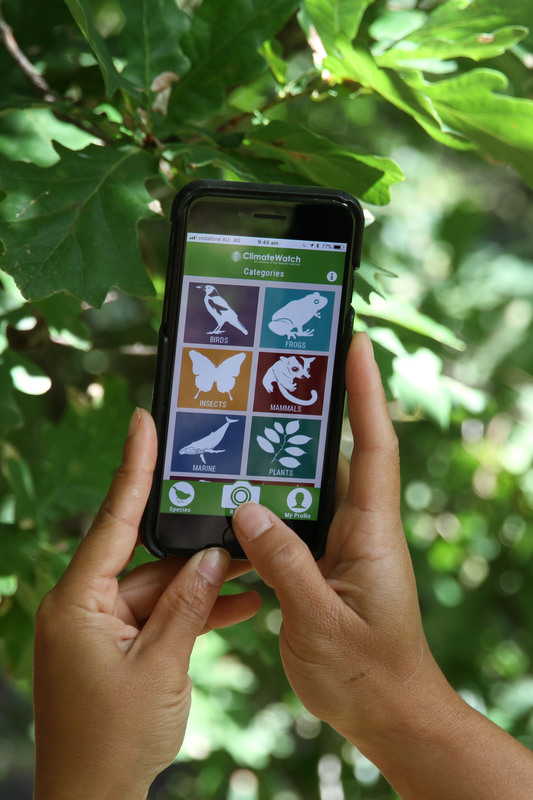 Now, without further ado here are four citizen science apps that can provide you with usable data while also engaging your community! The Australasian Fishes Project is a partnership of ichthyologists (fish scientists) from institutions across Australia, to harness the observation skills of anglers and other water users across Australia to collect observations of fish. Users can submit photos of any fish they find – there are no restrictions on the types of fish or the number of photos. There is no requirement to identify these, as the project includes a network of experts who can check each new observation and ID it themselves. The project is photo-based. It is actually compulsory to attach a photo with each record, which means that they are instantly verifiable. Records can be submitted on the spot. However they can also be uploaded later on the project website, utilising a handy Google Maps – style portal to accurately record the location where the observation took place. It is quite easy to sort and download all these observations either by taxonomic group or geographical area. The latter includes a map interface where you can simply instruct the website to download all observations within any area you highlight. The creators of the project are keen to see it being used for management purposes, and they are very responsive to individuals or organisations who approach them. There is a very good introductory video which will lead you through the process of signing up to the project and submitting your observations. Earthwatch's ClimateWatch website and app are helping scientists and land managers to determine the impacts of climate change on biodiversity, through allowing community members to record changes to the distribution of species and the timing of key biological events such as flowering in plants, and nesting and migration in birds. In addition to creating a nationwide database that scientists can use to map these changes over space and time, Earthwatch can partner with local land managers to create 'ClimateWatch trails' which are walking tracks in parks and reserves where community members are encouraged to record their observations. These observations are then provided to the land manager to assist them with their environmental planning and management activities. To date, more than 60 ClimateWatch trails have been set up across Australia. To view examples of these existing trails go to http://www.climatewatch.org.au/trails. To set up a ClimateWatch trail you will need to contact Earthwatch on (03) 9016 7590 or earth@earthwatch.org.au. There is a fee of approximately $1,500 to cover costs. The Birdata app and website have been created by Birdlife Australia as a platform for volunteers and researchers to enter bird survey data and gain feedback about their surveys, as well as to incorporate existing data from the Atlas of Australian Birds – as a result the database now includes over 16 million bird records collected in over 1.2 million surveys in the past 20 years. The Birdata mobile app, which is available for download from the Birdata website, is intended to facilitate simple data entry in the field on mobile devices, and it also provides basic reporting statistics. For dedicated birdwatchers and land managers, the Birdata web portal includes more comprehensive reporting and data management features. In addition to collecting data on a national level – where it feeds into Birdlife Australia's 'State of Australia's Birds' report series – Birdlife Australia can tailor the app to collect and record observations for regional bird monitoring projects. They are also able to conduct workshops for staff and community members, where they are trained in the use of the app and assisted to plan their local monitoring programs. The cost of these tailoring and training programs will vary depending on the resources and commitment required by Birdlife Australia; for more information call (03) 9347 0757 or email info@birdlife.org.au. The Fluker Post Project allows community members to record ongoing changes to natural environments, providing information to land managers that can help them with their decision making. The main tool used by the project is very simple: a series of wooden posts (called Fluker Posts, after their inventor Martin Fluker) which have grooves on the top that allow cameras and mobile devices to be placed in a set orientation – allowing for different people to take repeated photographs of the same habitat and subject matter over a long period of time. The Fluker Post project has been running since 2008, but a new collaboration of Victoria University and the Victorian Government – funded by the Victorian Government through the $30 million Regional Riparian Action Plan, which is part of the $222 million committed to improving the health of waterways and catchments in Victoria – has resulted in the development of the Fluker Post App, which will make it even easier for land managers and members of the community to participate. The app was launched in March 2018 and is now being used by citizen scientists to help monitor waterways across Victoria, including at newly established Flagship Waterways and EstuaryWatch Fluker Post sites. For more information about the Fluker Post App, and to find out how your organisation and community can become involved, contact Dr Martin Fluker at Martin.Fluker@vu.edu.au or Karen Dickinson, Project Officer-Waterway Health at DELWP at karen.dickinson@delwp.vic.gov.au.